Jonze previously placed 2nd for Being John Malkovich (1999) and 15th for Adaptation. (2002). Adams' history can be found at #11 below; she now has six career nods. Pegg previously squeaked in at #20 for Shaun of the Dead (2004). Paige (who played Michael Papageorge) and Robbie are new. Bujalski's screenplays for Mutual Appreciation (2006) and Beeswax (2009) landed at #20 and #17, respectively. I guess I have to make a 3rd attempt at finishing To The Wonder. It's not that I find it a bad film per se; it's just maddeningly flat and unengaging. It seals itself off in this highly artificial way, and that withholding wants to be read as mythos. Only parts that seem to work are the Javier Bardem segments. He struck me as a person, not a construct. But understand, I have thus far only made it to the 1:05 mark. So I am Sam Adamsing here. I honestly thought this was going to be Malick's first film to miss the top 20 entirely. But I underestimated the ardor of his True Believers. Prigge even 30-bombed it. 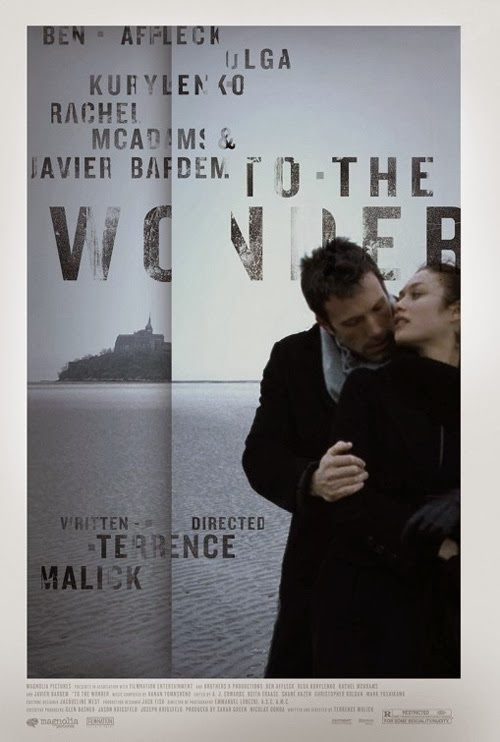 I'm a superduper Malick trooper (or at least I used to be) and am gobsmacked that this film placed in the top 10. Didn't see that coming at all. Like Michael, I should probably give the film a second look. But that doesn't sound like a very pleasurable task. Skandies be weird this year. Also, I'm sorry for forgetting that I watched DRUG WARS. I would have bumped a few of its categories up a few places if I'd remembered. That's my biggest case of voter's remorse so far. I didn't expect to like TO THE WONDER, but its intuitive spirit was too potent for me to resist.